Although World Book Day was established by UNESCO as a worldwide celebration of books and reading, it seems that it is mainly celebrated in Europe. This year, the United Kingdom is celebrating World Book Day on March 7 – they always celebrate it on the first Thursday in March. 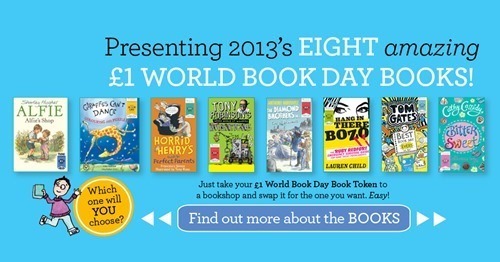 On World Book Day, every child in full-time education in the UK is given a voucher to be spent on books. What’s really fun is that kids dress up as their favorite story book characters for the celebration. Children can choose fancy dress costumes for any occasion at the Fancy Dress Ball costume store online. The store even has a special section for World Book Day Costumes! Costume ideas include Harry Potter, Goldilocks, Red Riding Hood, Where’s Waldo, Viking Warrior, Dorothy, Victorian Girl or Boy, and even World War II Evacuee Girl or Boy! My favorite would have to be the Very Hungry Caterpillar costume – so cute! Unfortunately the store doesn’t ship to the USA – but I know creative moms could come up with a story book character costume on their own. Wouldn’t it be fun to celebrate World Book Day here in the USA? Or maybe we can all head to the UK to join in their celebration! What do you think? Disclaimer: This has been a featured post but all ideas and opinions are my own.